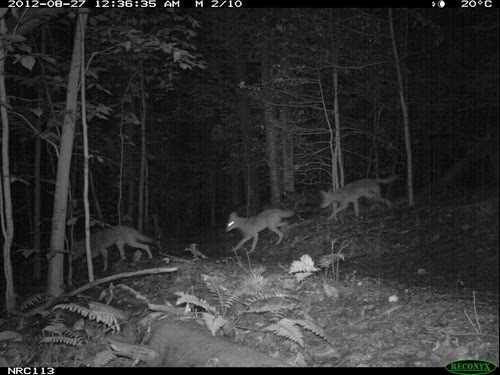 Coyotes in Prince William Forest Park, adjacent to a U.S. Marine base, in Virginia. Coyotes are usually nocturnal, but more so in developed areas, studies have found. The Wolf Called OR7: The first in California since 1924. In the vast expanse of the Modoc Plateau in northern California live bald eagles, black bears, mountain lions, and—for 15 magical months—the first gray wolf to roam California in nearly 90 years. He was named OR7 because he was the seventh wolf affixed with a global positioning system collar in Oregon, where he was born. OR7 crossed into California unannounced, detected only by the collar. He traveled alone, often covering as much as 40 miles in a day. Writer Jane Braxton Little, who lives where OR7 wandered, describes OR7’s historic trek, which announced a future for wolves in California. The Night Life: Many animals are becoming increasingly nocturnal in an effort to avoid humans. Nighttime is a simpler, wilder time. It’s an opportunity to experience the world in a fresh way. Oregon writer Dawn Stover documents the ways biologists and volunteers are observing how animals deal with human encroachment. Many have responded by retreating into the night, waiting until we are asleep—or at least indoors—to go about their business. 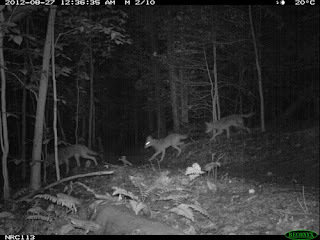 Remote cameras reveal some surprising patterns of movement, such as the bobcats and coyotes, which are more nocturnal in cities than they are in undeveloped landscapes.